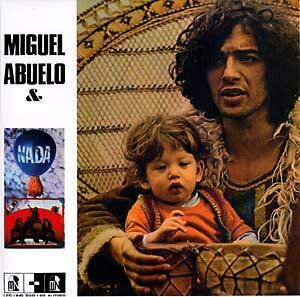 "1973 album by Miguel Abuelo & Nada while he was living in France is, no doubt, one of the best Argentinian rock albums ever recorded, and probably also one of the best out of South America. Miguel, a true legend of Argentinian rock music, recruited some Argentinian musicians who were living in Paris at the time and recorded this wonderful album, but the band never promoted it because they disbanded very quickly. The LP became a collectable item very soon, and this is the first vinyl reissue with the original artwork in its gatefold cover, and the insert with the lyrics. Seven long tracks, stunning blend of psychedelia, folk and hard-rock. A nicely done reissue of such a classic, with tremendous sound quality and limited to 500 copies."